MESA online quantitative research graduates are in high demand. Each skill area in the MESA program – Measurement, Evaluation, Statistics and Assessment – can help you advance your career. Through a blend of theoretical knowledge and the hands-on application of new skills, you will be prepared to succeed in a variety of research settings including educational, social, behavioral, medical and healthcare environments. Learn more about our 100% online programs. There are two simple requirements for admission into UIC's online MESA programs. 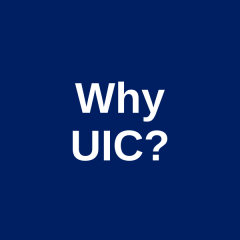 Learn about tuition and financial aid options available at UIC. View the curriculum requirements and read course descriptions.